University of Minnesota Duluth women’s cross country and track and field coach Joanna Warmington announced her resignation on Monday in a letter published by the Duluth News Tribune. In the letter, Warmington slams UMD for what she says are violations of both Minnesota law and Title IX, while describing what she claims to be a campaign to force her out of her job. Warmington says she was placed on a leave of absence on March 28 this year, as she was investigated by the school’s Equal Opportunity and Affirmative Action office. She says that, despite repeatedly requesting a copy of the complaints, she didn’t know what she was being investigated for until June, after she had already been interviewed multiple times by investigators. Warmington is vague about what the allegations actually were, only writing that she was accused of violating UMD’s misconduct policy while also making reference to “allegations regarding my training and nutrition advice to student athletes.” She does, however, take aim at the methods of UMD’s investigation, and believes that the investigation was part of a coordinated effort by UMD to get her fired. Part of her criticism includes the claim that coaches and student-athletes obtained personal information from her electronic devices, and that UMD was overly credulous of critical witnesses while ignoring those who supported her. The second incident that validates the predetermined outcome comes in the settlement agreement that [UMD Athletic Director] Josh Berlo provided to me this past Saturday indicating that the University would be terminating my employment but that it would keep the contents of the investigation secret if I agreed to release the University from all claims. It is clear now that the University gathered information during the investigation to coerce my cooperation with them in order to make me choose between potential personal embarrassment in return for my assisting them in, among other things, covering up a variety of NCAA violations that I identified during the course of the investigation. Warmington’s letter echoes previous criticisms of UMD made by at least three other female ex-coaches. Annette Wiles, Jen Banford, and Shannon Miller jointly filed a lawsuit in 2015 accusing the school of harassment, exclusion, and discrimination against its female and lesbian coaches. 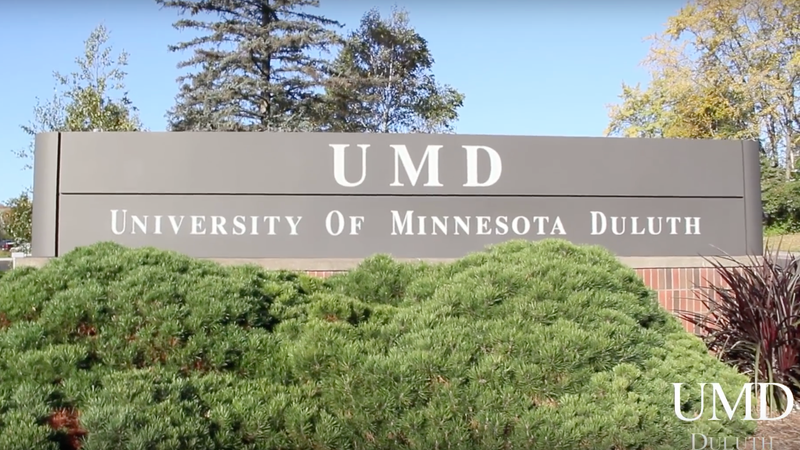 In March of this year, Miller won a separate, solo lawsuit against UMD, in which the school was ordered to pay her $3.74 million. After Miller’s victory and barely a week before she now says she was put on leave, Warmington wrote an op-ed for the Duluth News Tribune defending UMD against Miller’s claims of discrimination. Warmington acknowledges that op-ed in her letter, and says she wrote it because she and other UMD coaches were encouraged to support the administration after the verdict came down.